Diane Feinstein and a few other well meaning Senators are in the process of defining who qualifies for 1st Amendment rights, or privileges as she put it, as the Senate Judiciary Committee attempts to iron out a “shield law for reporters or journalists” from having to divulge their sources. This rush for an immediate fix regarding the press has nothing to do with a recent scandal in which the NSA ran rough shod over individual rights or private records and which the Justice Department claimed to have no knowledge; no there’s no connection, move along. My Jedi mind tricks used to be more convincing. So, Congress shall make no law abridging the freedom of speech or of the press; hummmm, Congress shall make no law abridging a God given or natural right which includes an individual’s freedom of speech or of the press. 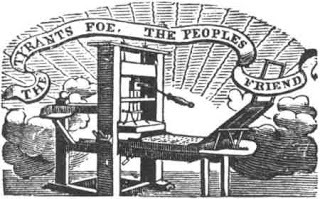 Re-defining who or who does not qualify as a member of the press would be an abridgement of that right, an attempt to limit God given rights by claiming rights are, in actuality, government privileges or entitlements. Red warning flags should be waving in the breeze as America is transformed from a constitutional republic into a totalitarian socialist state. If ever we permit government to establish the premise that rights are dispensed, no different than entitlements, at that moment we have lost and the state has all power over us; we will have become subjects rather than citizens. The 1st Amendment doesn’t say individual’s have to be paid employees, full time or part time nor does it place limits on who can claim to be a member of the press; limitations are placed on government, not individuals. In contrast to the full frontal assault by the Senate Judiciary Committee to define who qualifies as a journalist, Senator John Cornyn of Texas reminded everyone there are already plenty of laws on the books and we’d be better off if those in government would just follow those laws. “In a broadside against the Obama administration, Sen. John Cornyn, R-Texas, said the legislation was merely a diversion by the White House. It was introduced three days after word emerged about the secret subpoenas of the AP records. So the attempt to limit individual God given rights comes on the heels of yet another Obama administration scandal; now it makes sense. Rather than remove Eric Holder from his position as Attorney General for violating the law it’s so much better to put the blame on amateurs who might blog about such usurpation’s of power and later claim they had the right as covered under the 1st Amendment. Several years ago I had a chance to obtain a Press Corp Hat Logo to put on my blog, a sure fire way to let folks who stumble upon my writings know that I was a serious journalist. I blew it; never bothered to save that neat looking hat logo complete with a Press Pass stuck in the satin band. I’m told journalists wear Fedoras and spend part of their salary making sure it’s properly blocked so as to stand out in a crowd. Do you know the difference between a Vase (pronounce Vahhh-zzzz) and a Vase (pronounced Vay-ze)? The answer, about twenty bucks; the same applies when comparing Press Corp hats and Fedoras; rumor has it only pimps wear Fedoras. 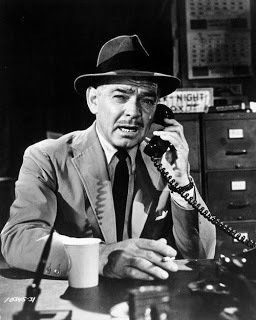 I did watch Clark Gable play the part of a hard nosed newspaper city editor in Teacher’s Pet along side of Doris Day; that should count for something. Take that Diane Feinstein; bet you have trouble with Who, What, When, Where, Why and How too. Folks in Washington have good reason to fear amateur journalists, bloggers or those who have only their love of truth involved when they type messages informing others of what’s going on in this country; modern day pamphleteers if you will. 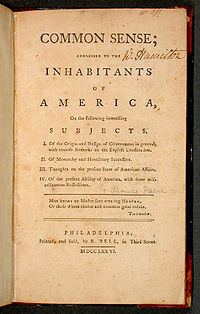 Pamphleteers were largely responsible for opening the eyes of colonists prior to the Revolutionary War; folks who spent their hard earned money and time exposing the enemies of liberty by printing leaflets which they shared with anyone willing to read, predecessors of our modern day press corp.
Ezra Taft Benson expressed in his talk, The Proper Role of Government, a thought most Americans share. America is sliding down yet another slippery slope if we permit elitists in Washington to re-define God given rights as entitlements or privileges. Freedom of the press is not reserved as a government entitlement, a privilege limited to employees working for a political propaganda machine; any limitation regarding the press is an abridgment of a God given right.